Description: The yarns used in this product form floats over the carpet we call Lappet. The unique crinkly yarn used in this product gives lappet a translucent liveliness and provides a subtle accent to the cut loop surface. 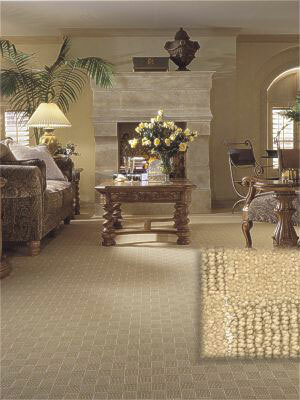 Available in Residential Broadloom only. Made of DuPont Grand Luxura®.